We'll admit that there's nothing really exciting about skinny jeans, but everyone needs at least one pair in their wardrobe, and that's just the way the cookie crumbles. The good news is that there's plenty you can do to make your skinny jeans look more stylish, and one way is choosing a pair of shoes that will do just that in one fell swoop. This year has already delivered tons of stylish shoe trends to wear with skinnies, and many of them happen to be beautiful. If you love to wear flats with skinny jeans, we found plenty of those. If you're sick of wearing black shoes after months of winter, we have a few particularly pretty color trends to consider. And if you just want to wear sparkly, highly Instagrammable shoes with your skinny jeans, we've got those too. Intrigued? 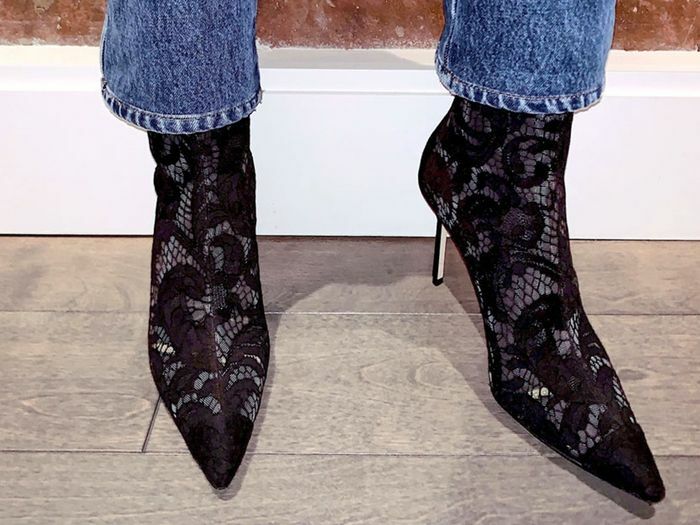 Keep scrolling to shop 11 of the most beautiful 2019 shoe trends that happen to look amazing with skinny jeans. This '90s-inspired trend is minimal but simultaneously makes a big impact, just like skinny jeans. Shimmering shoes show no sign of flickering away anytime soon, so don't hesitate to invest in this trend. Your plain skinny jeans will thank you. Wearing skinny jeans with a pair of shoes with an interesting heel will make you look like you know what you're doing. Any and every pastel color is trending for spring, but we've seen a plethora of pretty mint-colored shoes on the market, and they complement blue denim perfectly. There's no time like the present to swap out your trusty suede boots for something a little lighter. Mesh boots are a rising trend that will help you do just that. Neutral tones like cream, beige, and tan are everywhere right now, and if you want to lighten up your skinny-jean outfits for spring, this is exactly how to do it. Any animal print is a no-brainer with skinny jeans, but the new It animal print is cow, and the variations in the spots are surprisingly beautiful. Feathered shoes have a romantic quality, making them the perfect choice when you want to wear skinny jeans for a night out. 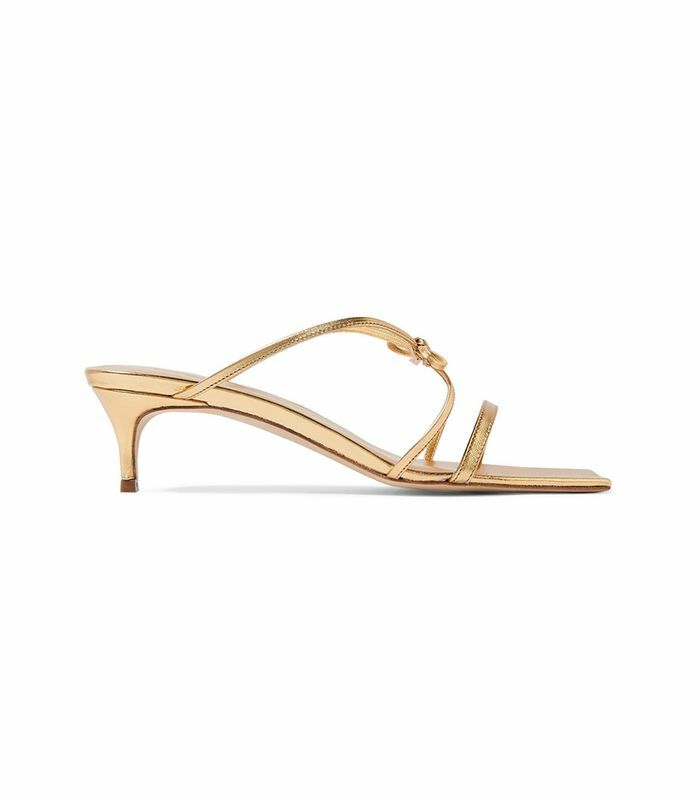 The shell trend might have begun with jewelry, but it's quickly trickled into footwear. The trend is surprisingly versatile and will get you tons of compliments. Even if you're not into bows, the trend has taken on many forms this year, many of which are quite modern (but still beautiful). If you want to wear a pretty pair of flats with skinnies but find ballet flats to be a little dull, get yourself a pair of Mary Janes because they're back and cooler than ever. Next, find out how to style skinny jeans for every body type.